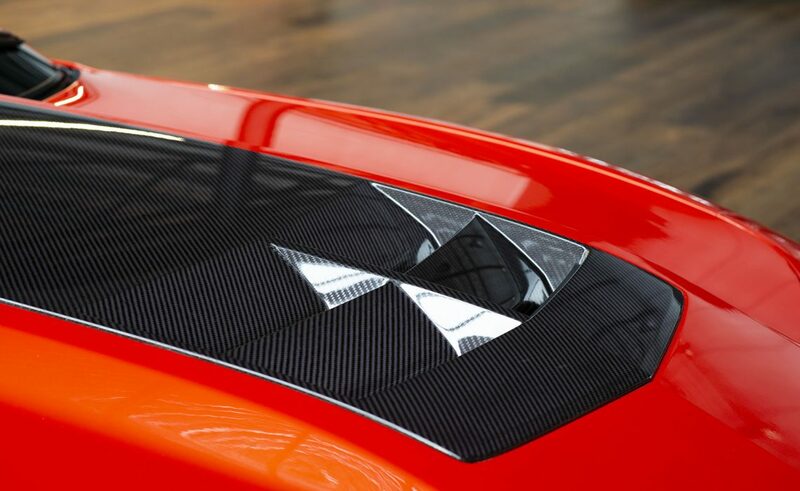 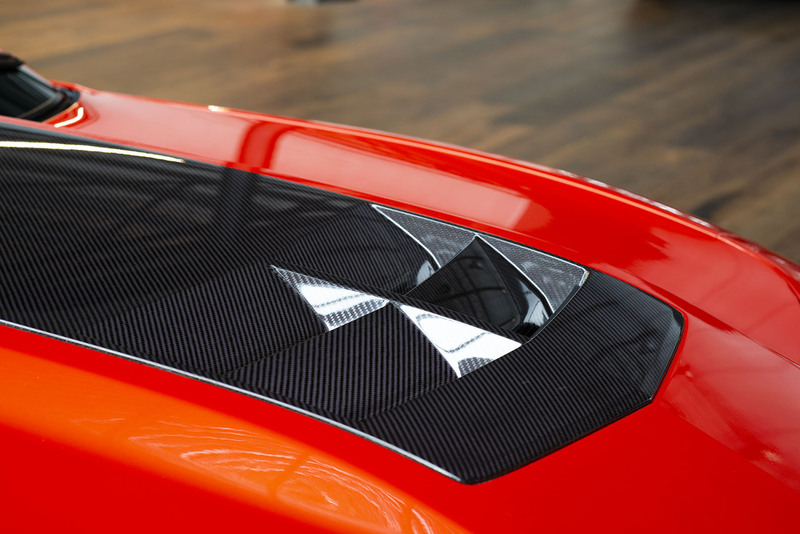 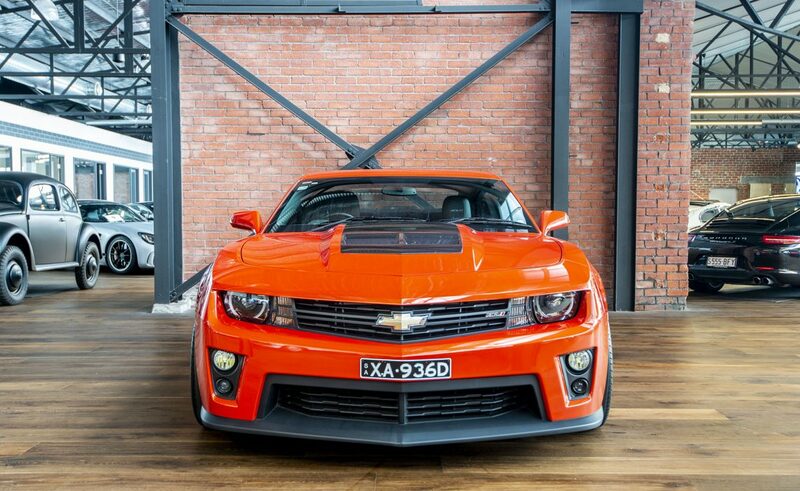 6.2 LITRE SUPERCHARGED V8, 433kW at 6,000 rpm and 754 nM torque at 4,200 rpm with top speed of 290 km/h. 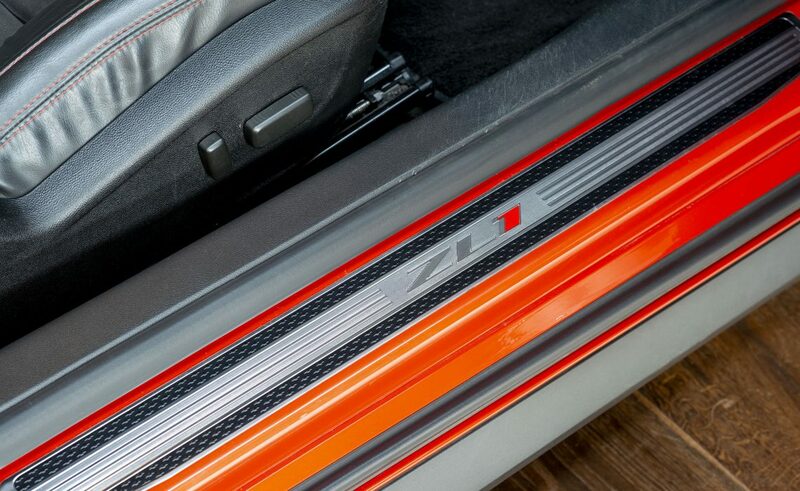 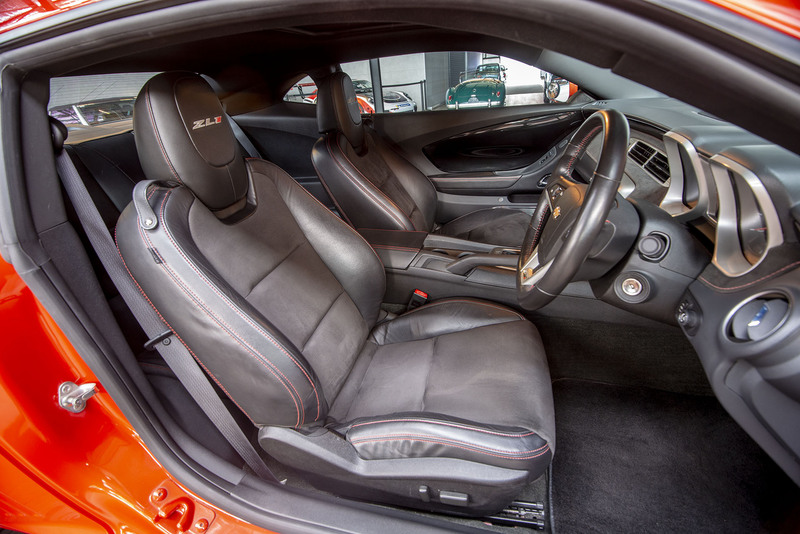 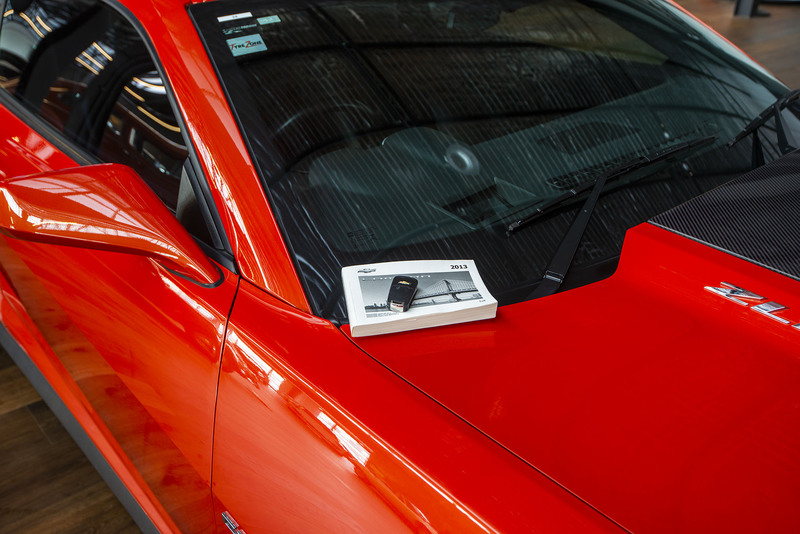 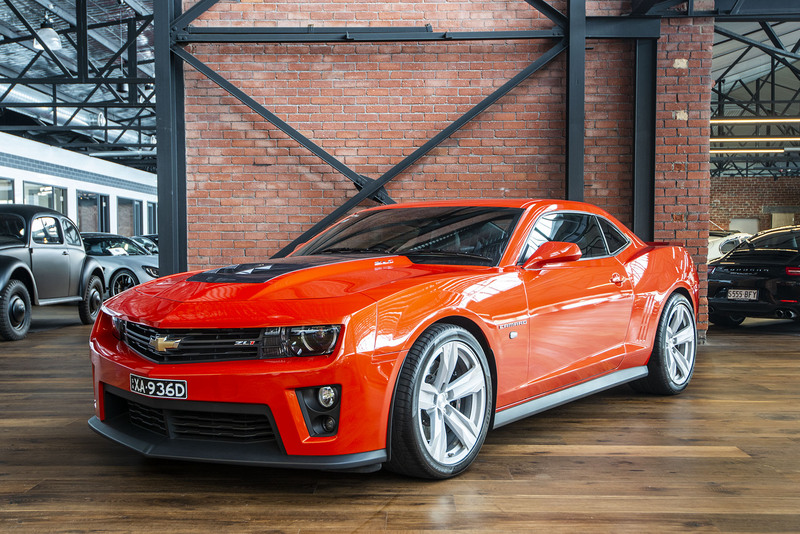 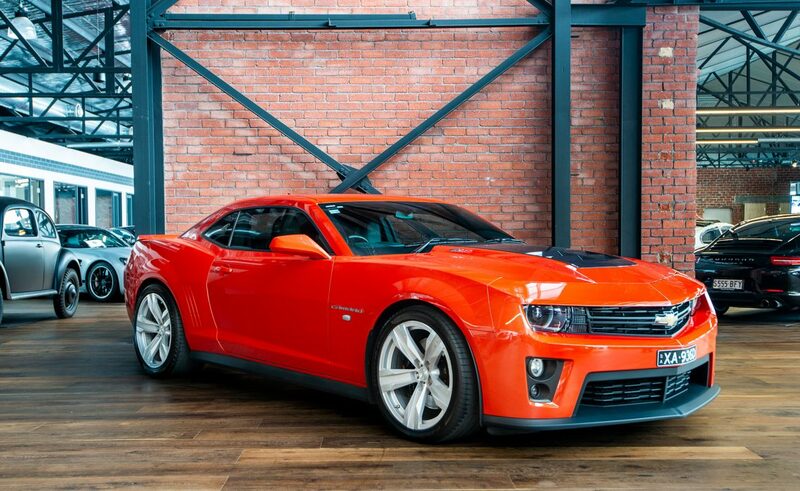 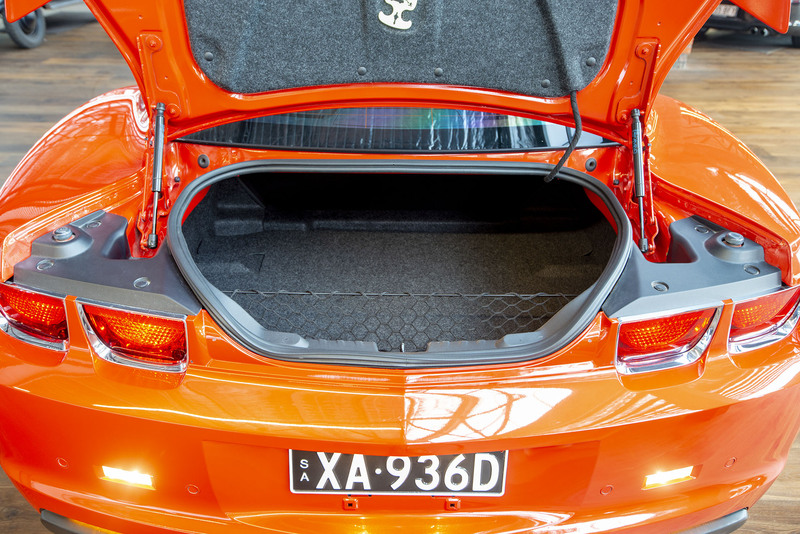 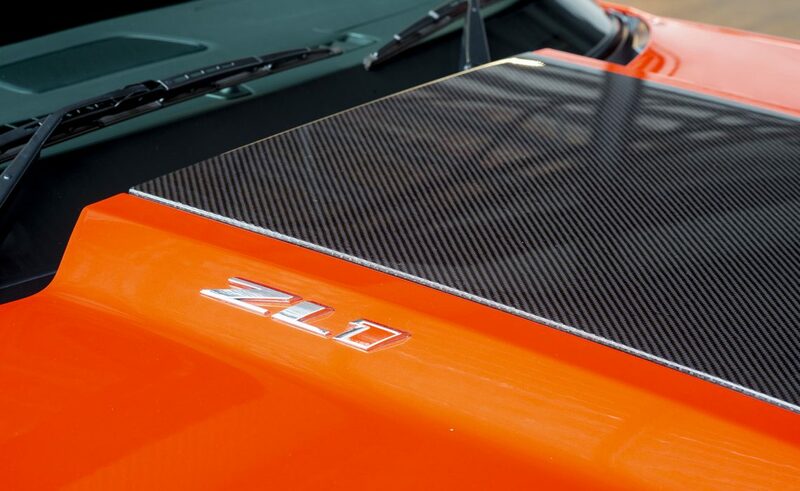 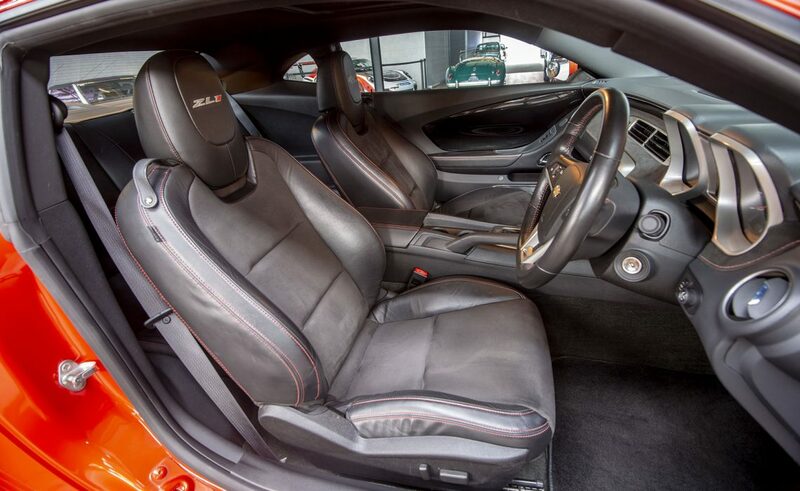 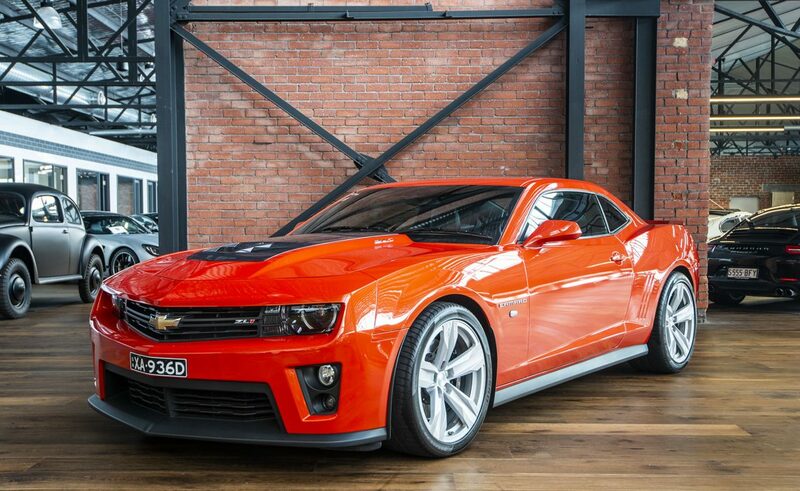 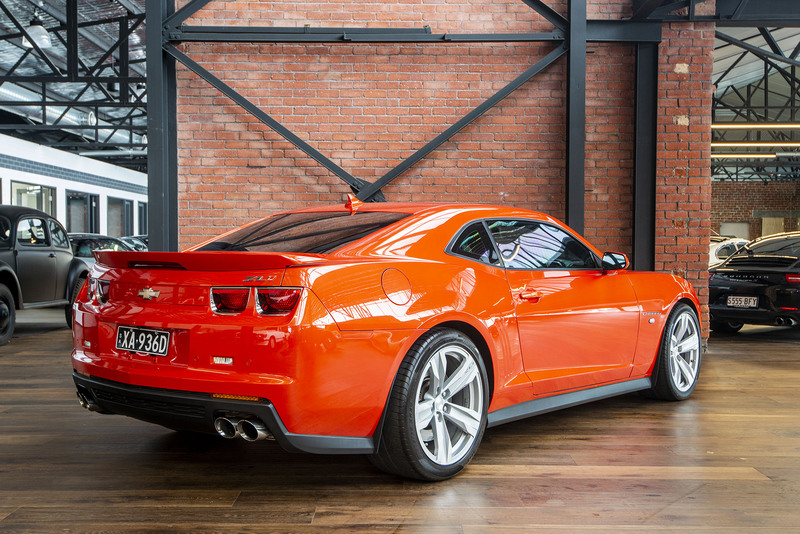 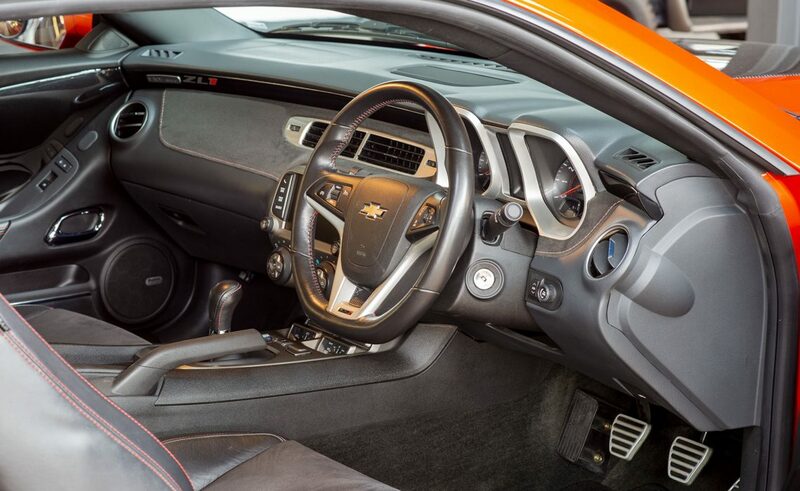 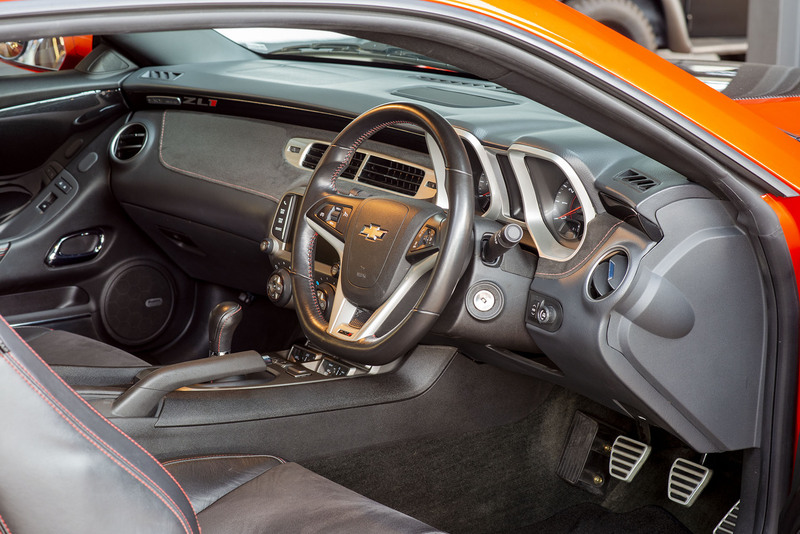 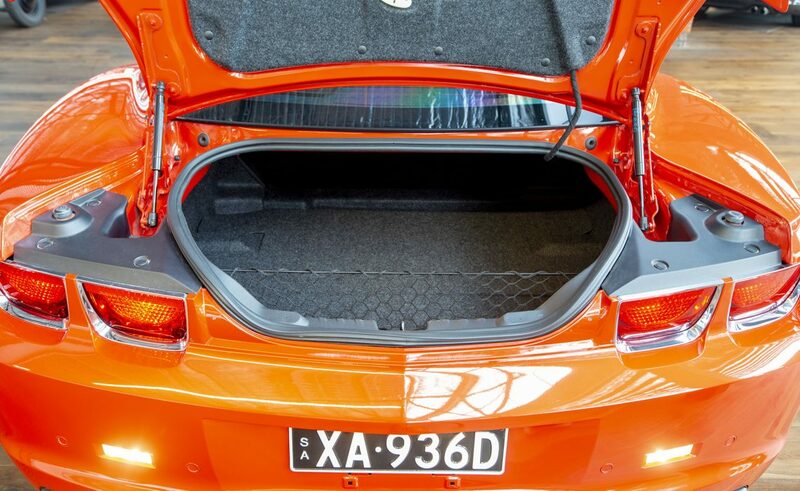 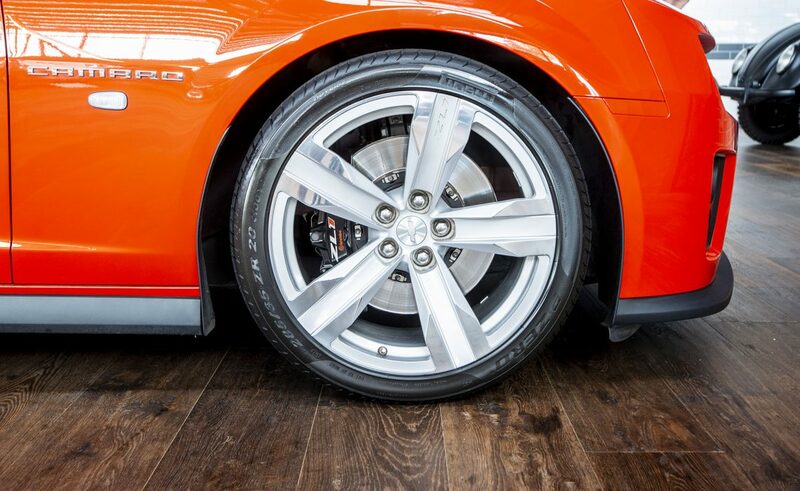 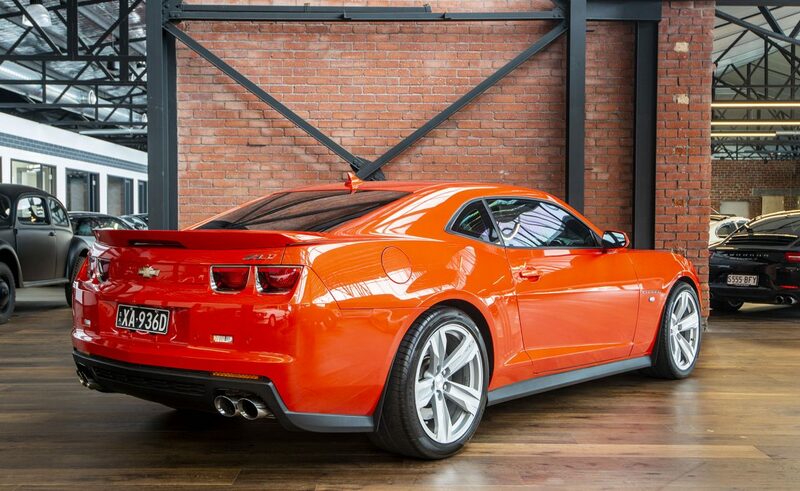 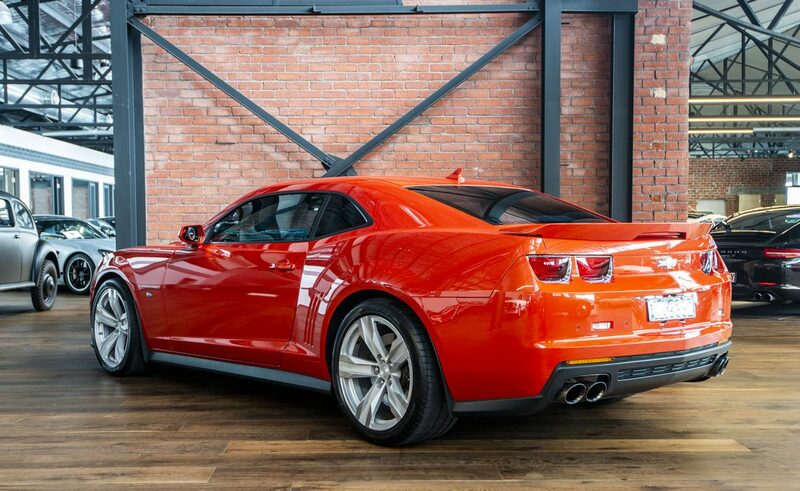 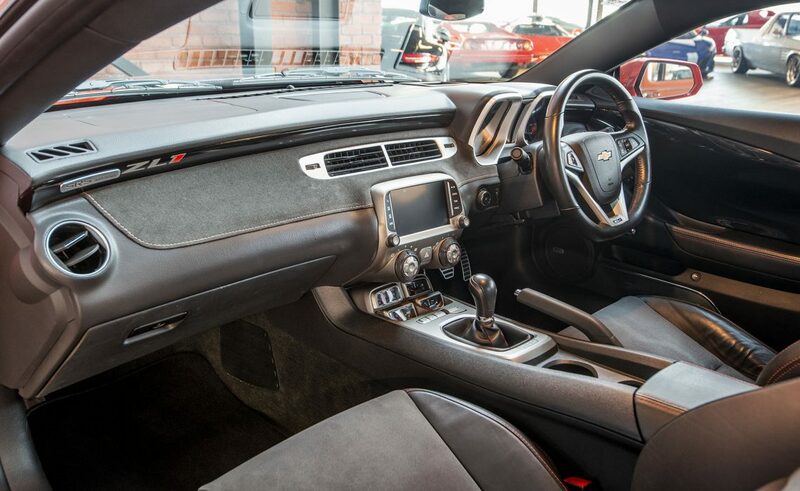 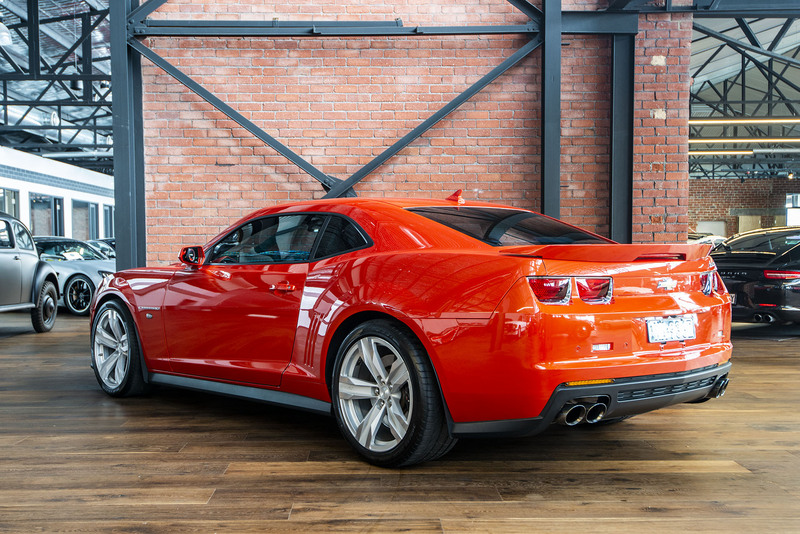 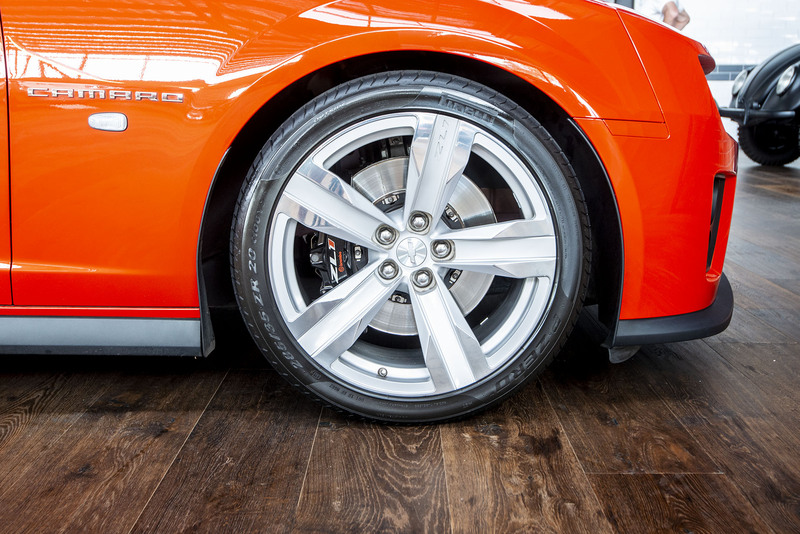 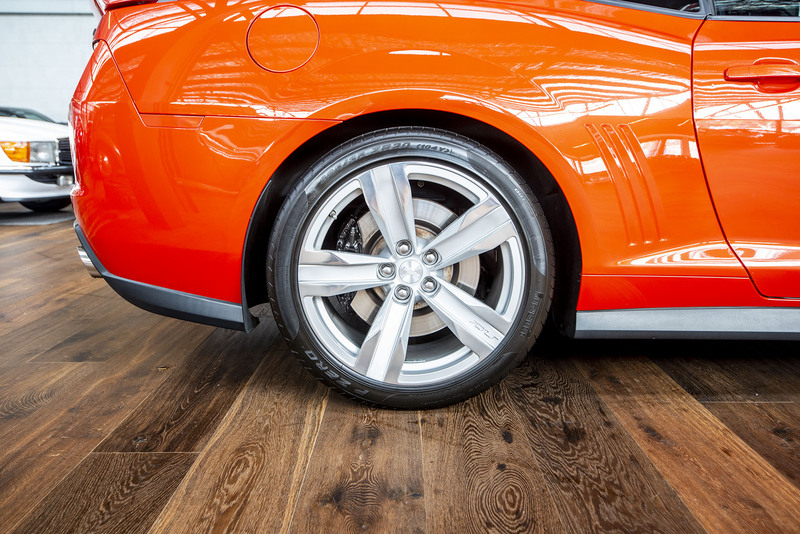 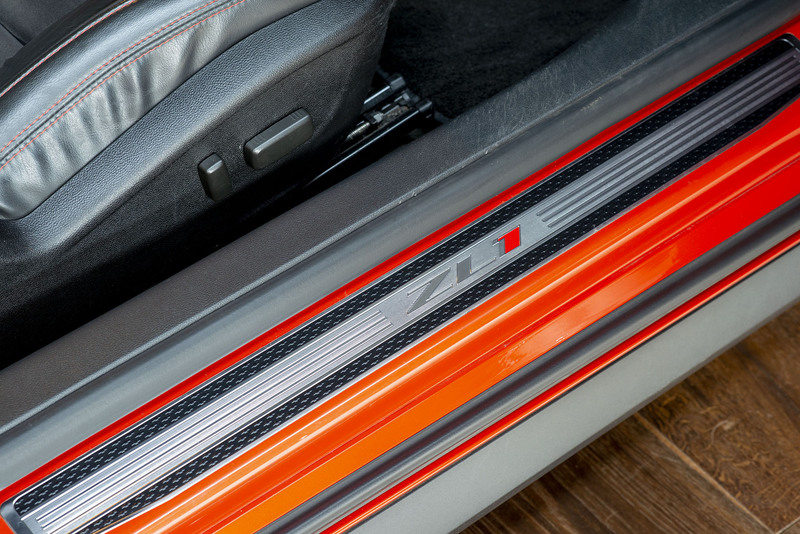 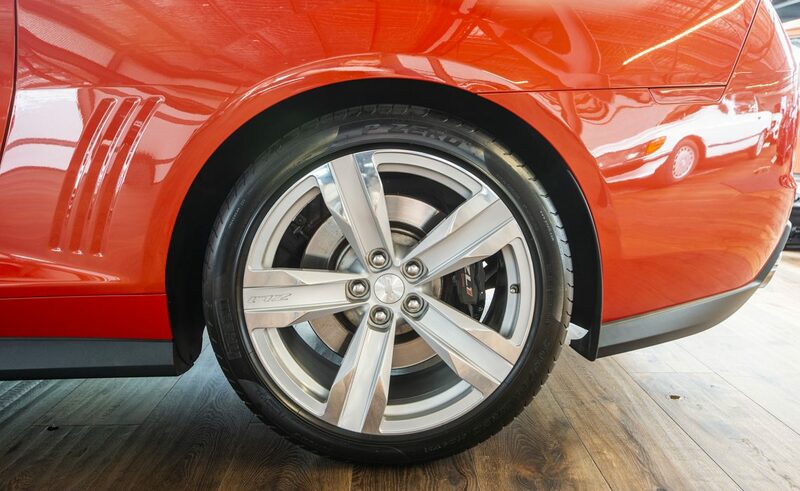 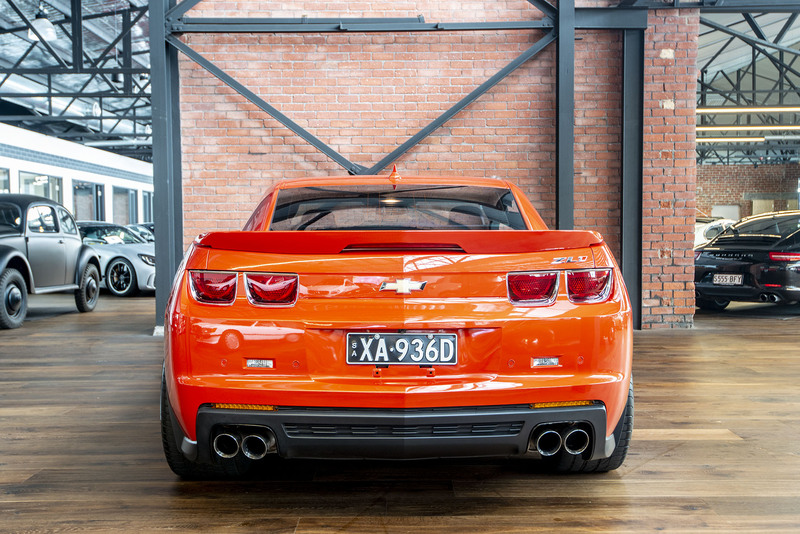 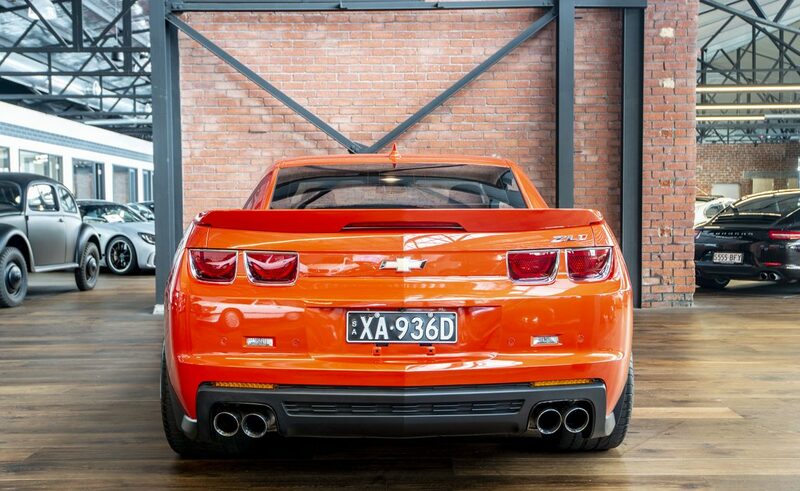 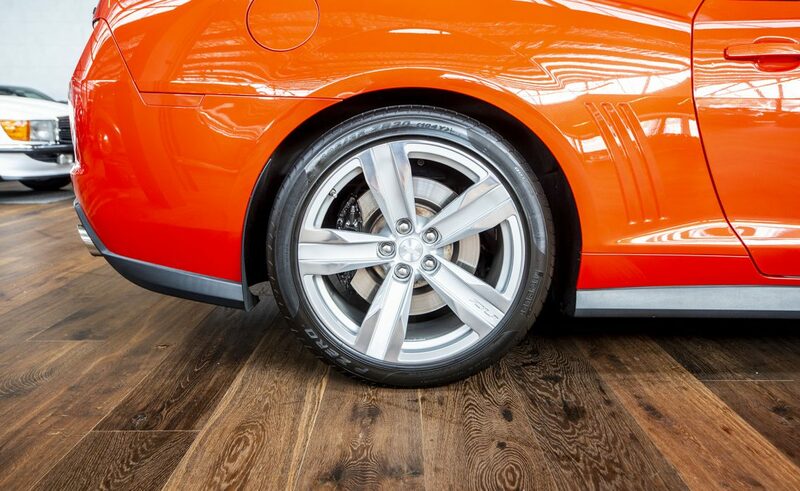 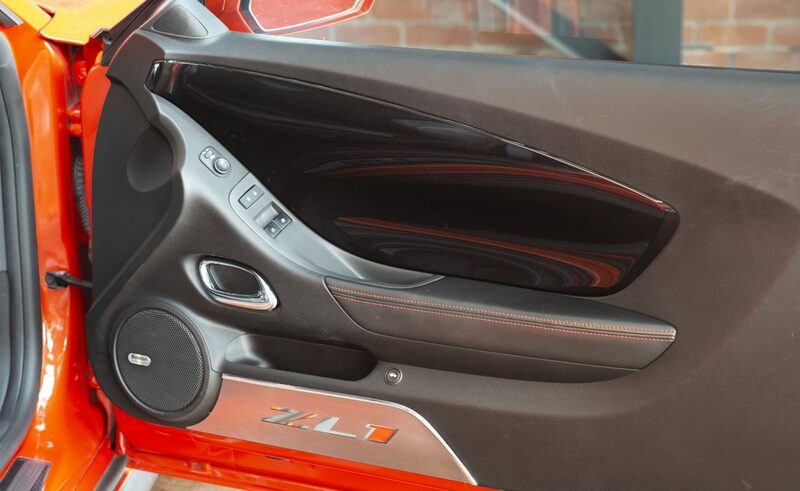 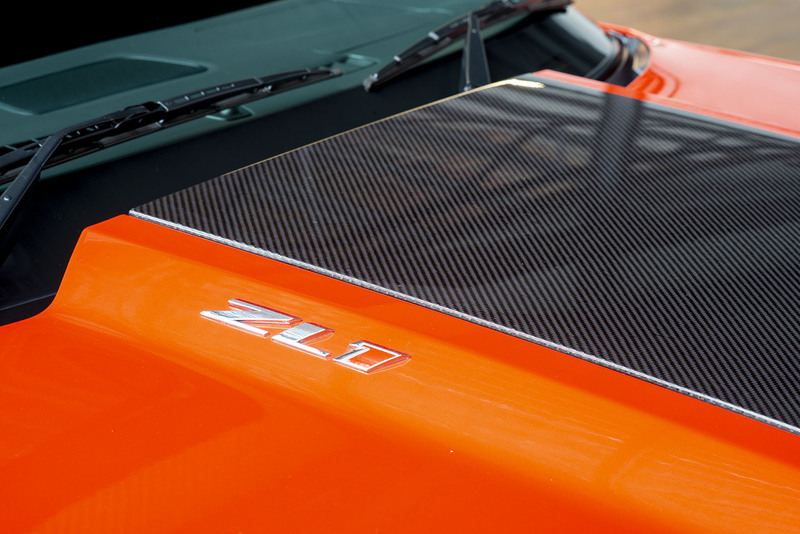 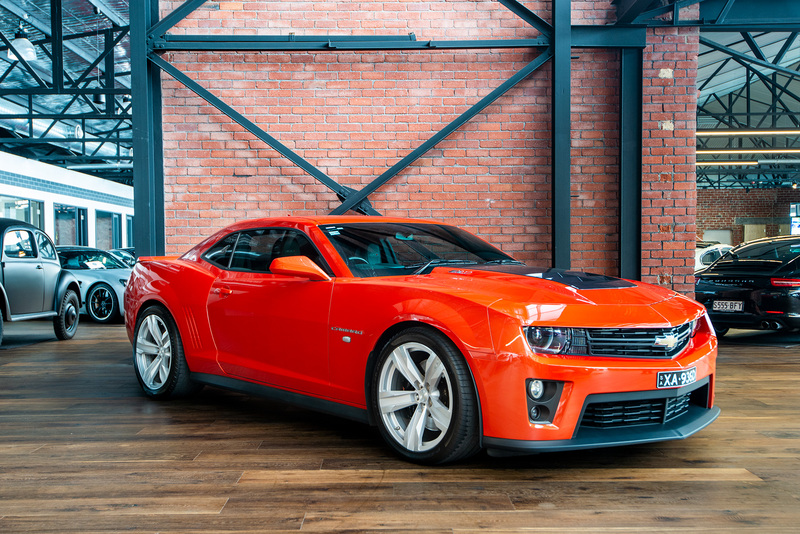 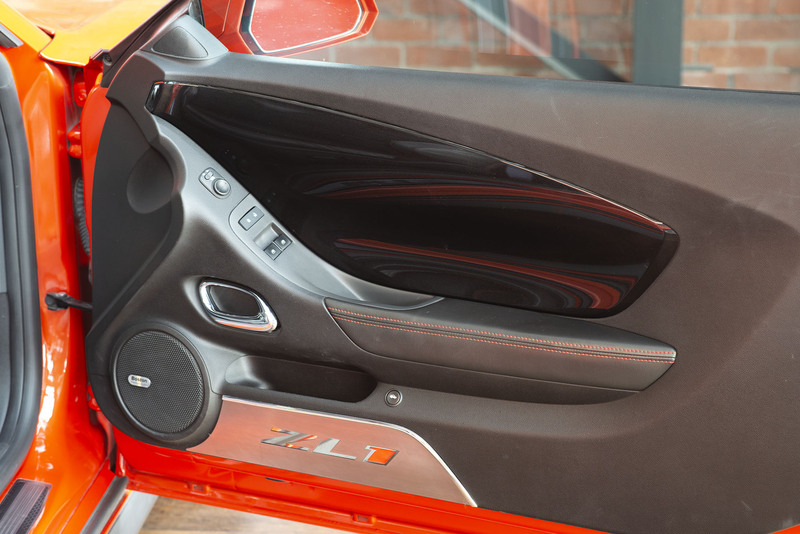 Now on offer is this eye-catching ZL1 manual Camaro in Inferno orange metallic. 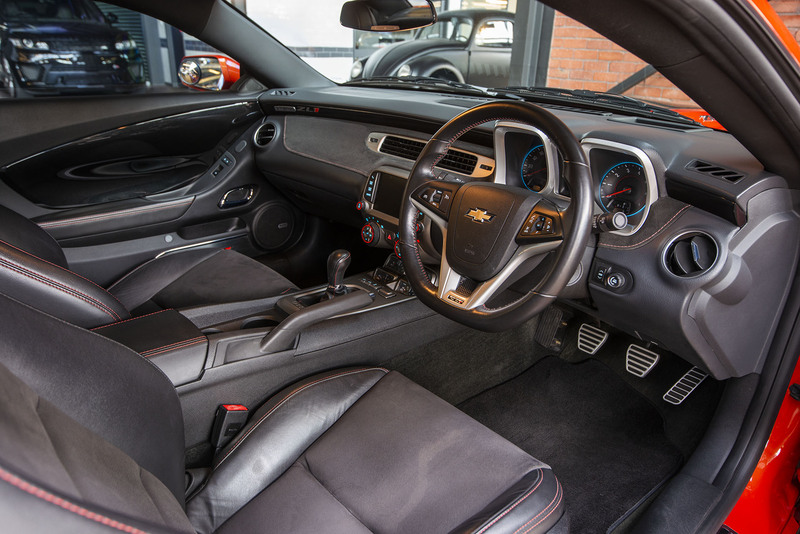 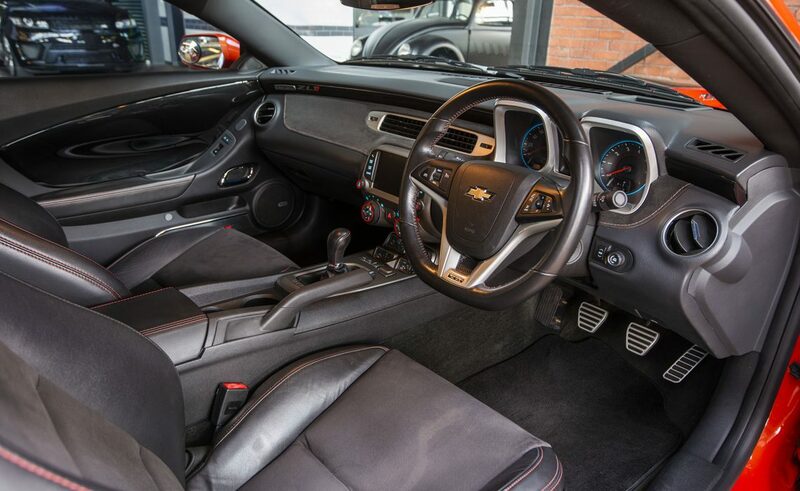 This ZL1 is in excellent condition. 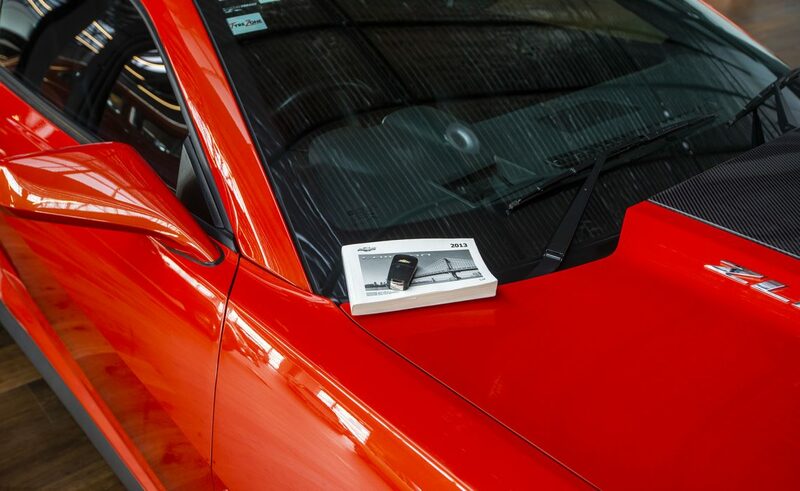 Conversion to RHD by highly regarded Performax International with compliance February 2014. 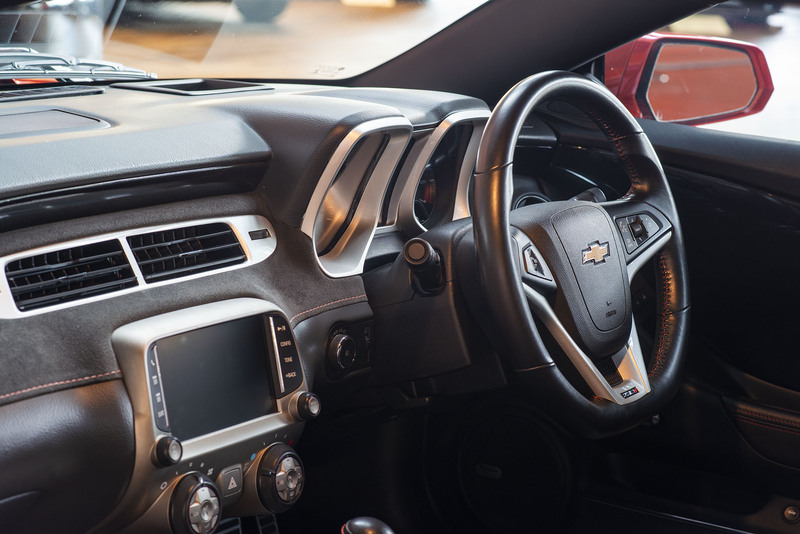 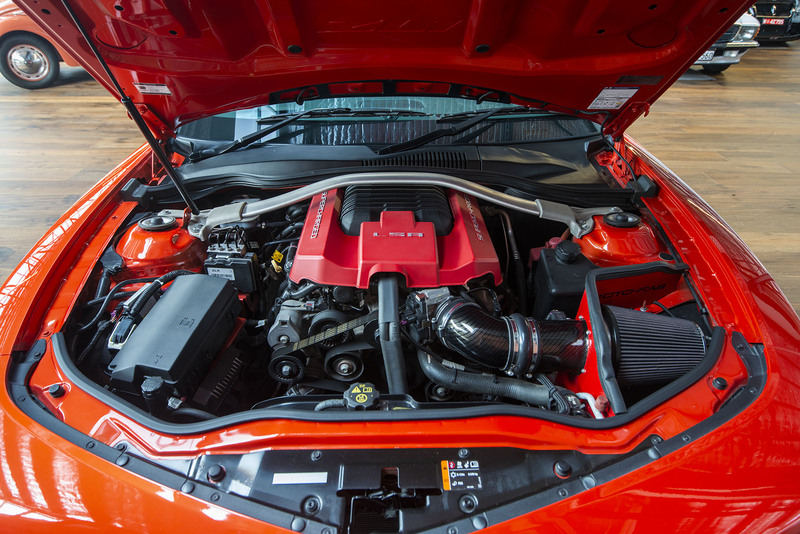 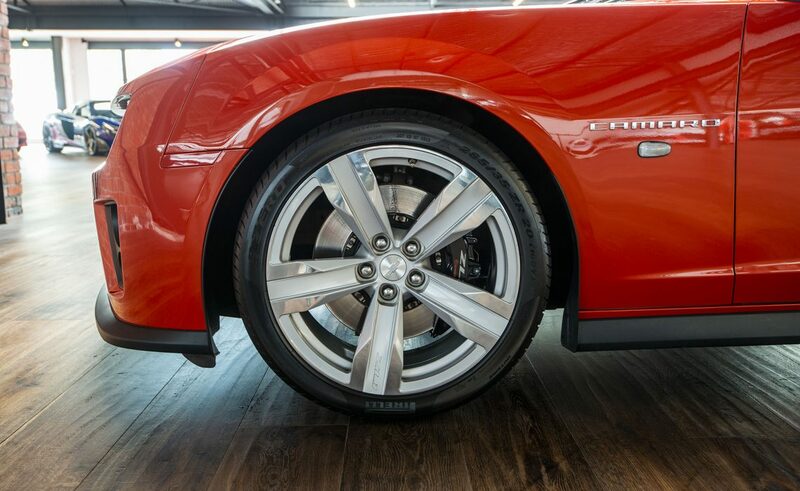 With a sub 8-minute lap time of the famous German Nurburgring circuit to its credit, the top of the range Camaro ZL1 is impressive. 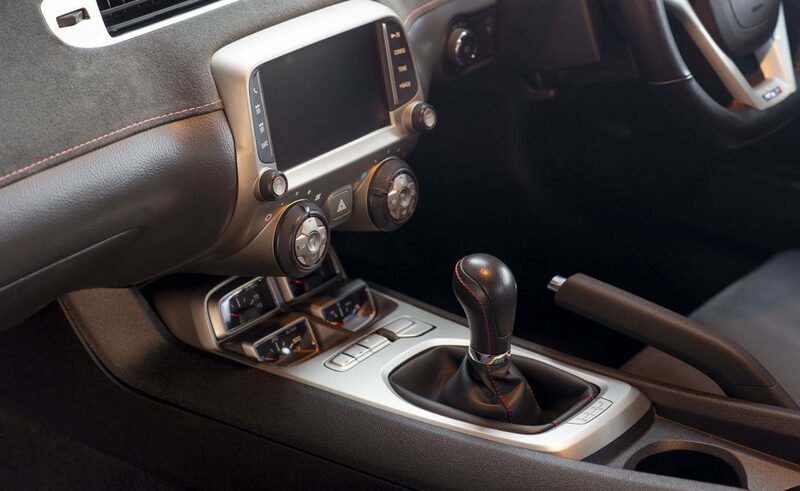 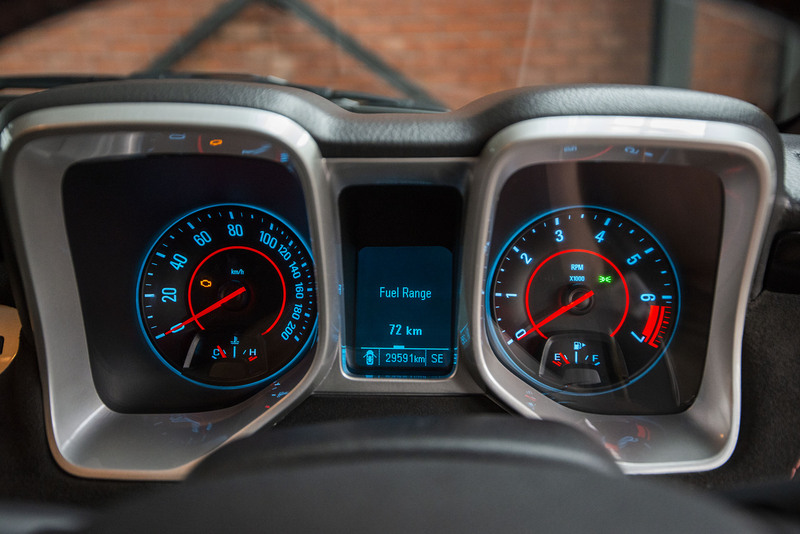 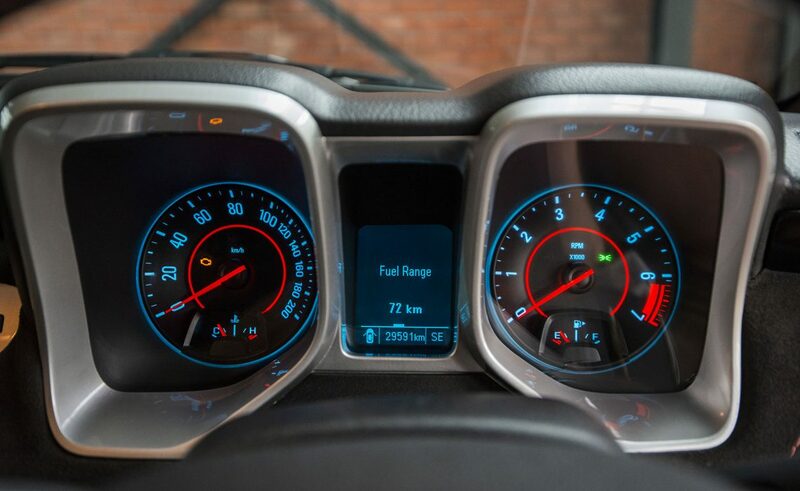 The Magnetic Ride Control offers Tour / Sport and Track settings. 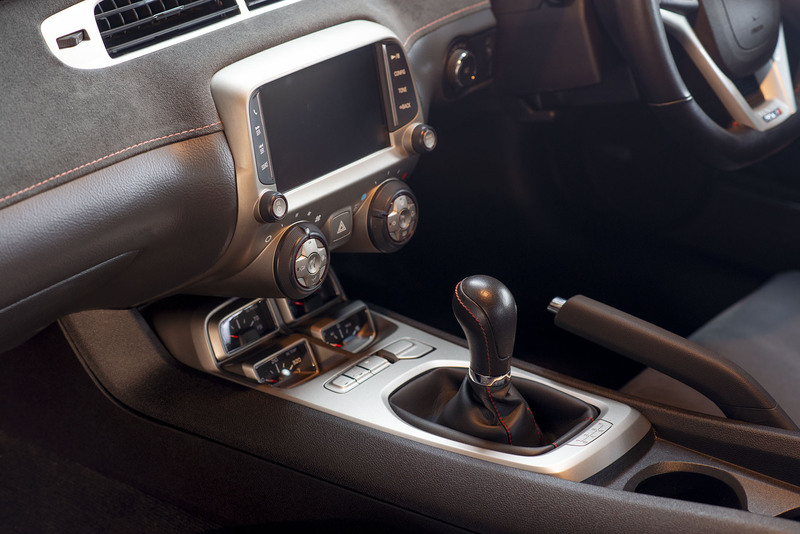 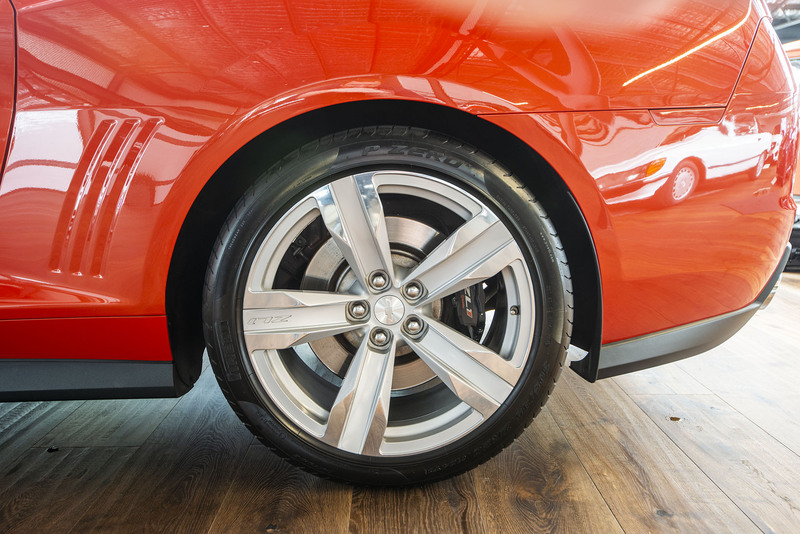 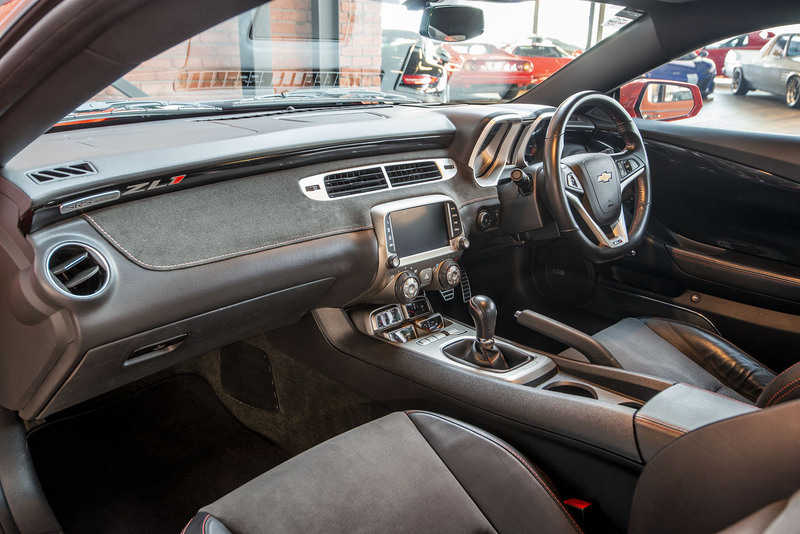 Impressively, the ride is smooth and pliant yet delivers trim and taut roll-less handling thanks to magneto-rheological suspension dampers. 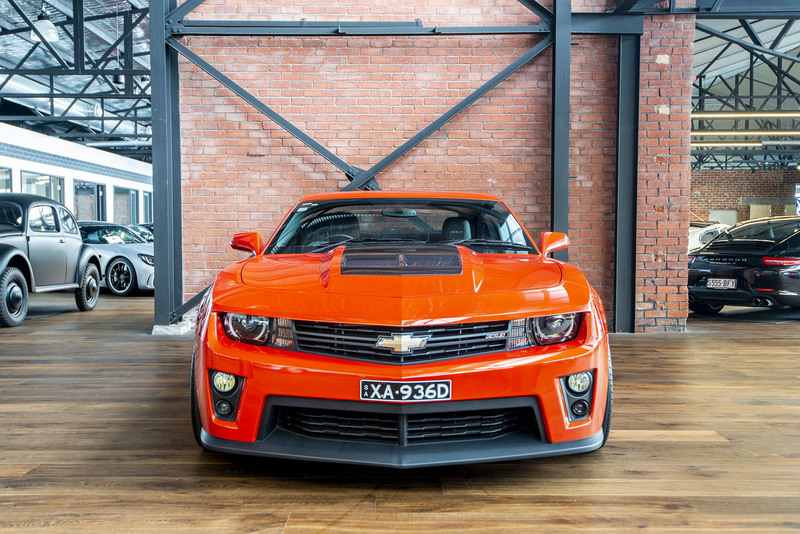 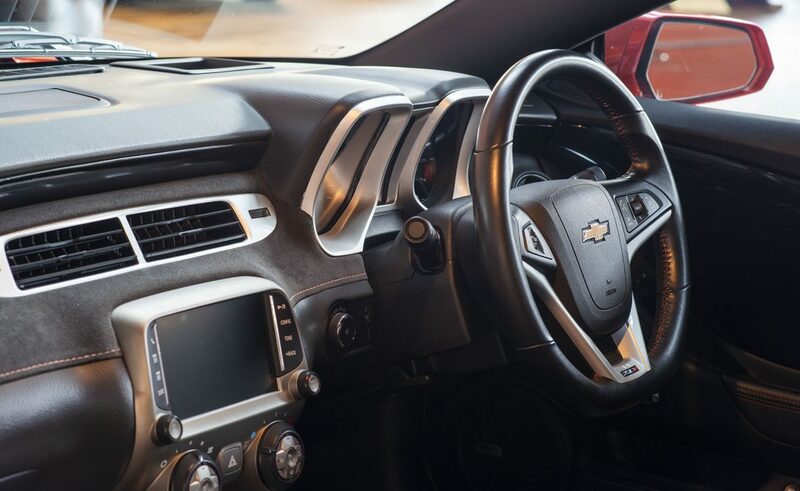 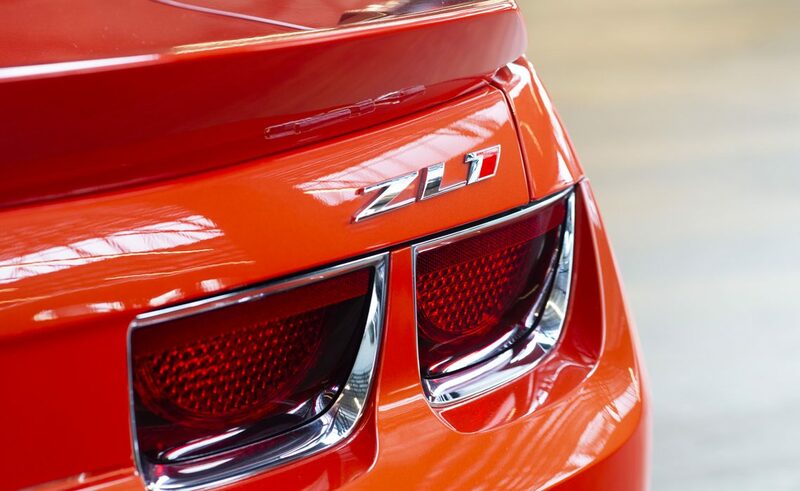 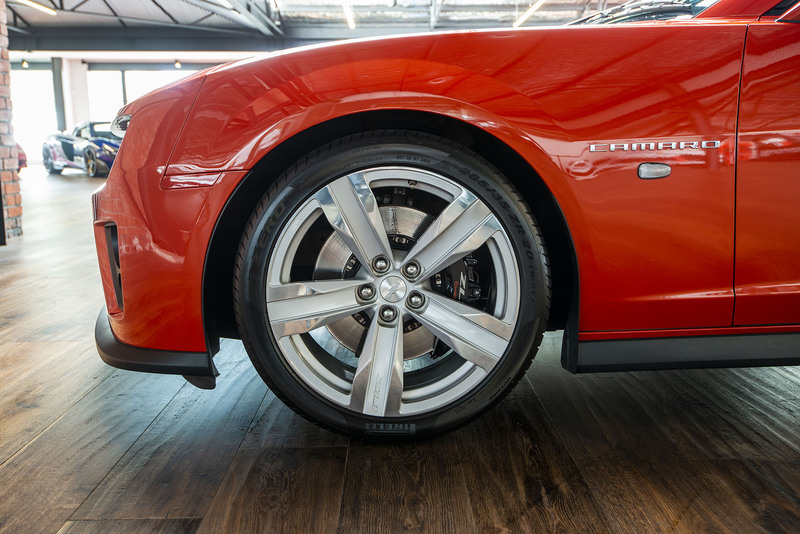 If you are looking for a crisp eye-catching ZL1, here is an excellent example to consider.